You really can’t eat that!! Oh yes you can and you will love it, too. In Mexico, there are over one hundred known species of Nopal. In fact, it’s a common ingredient in numerous Mexican cuisine dishes. Previously, I posted a Sorbete de Tuna Roja (Red Prickly Pear Sorbet) to show you one means of cooking nopal. 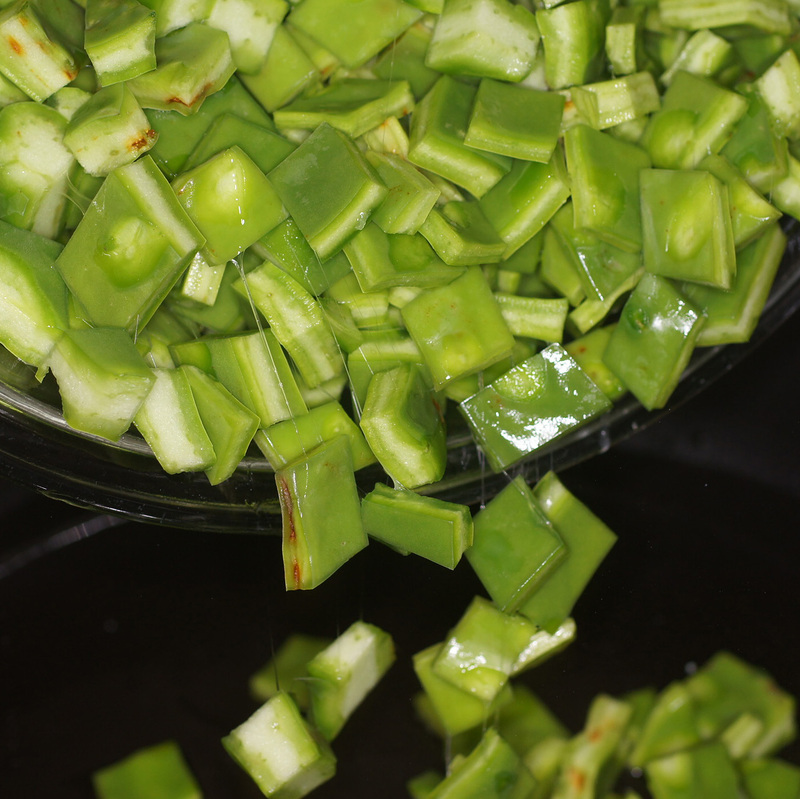 Nopal, however can be cooked in other ways and not just the fruit. Indeed, the paddles themselves are edible as are the flowers. 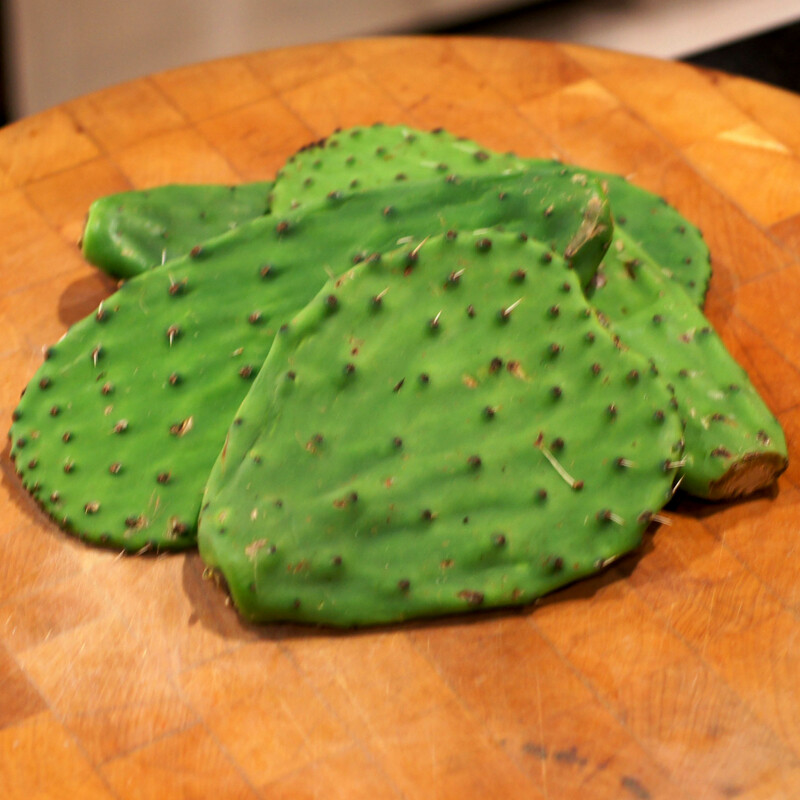 The nopal pads can be eaten raw or cooked, used in marmalades, soups stews and salads. 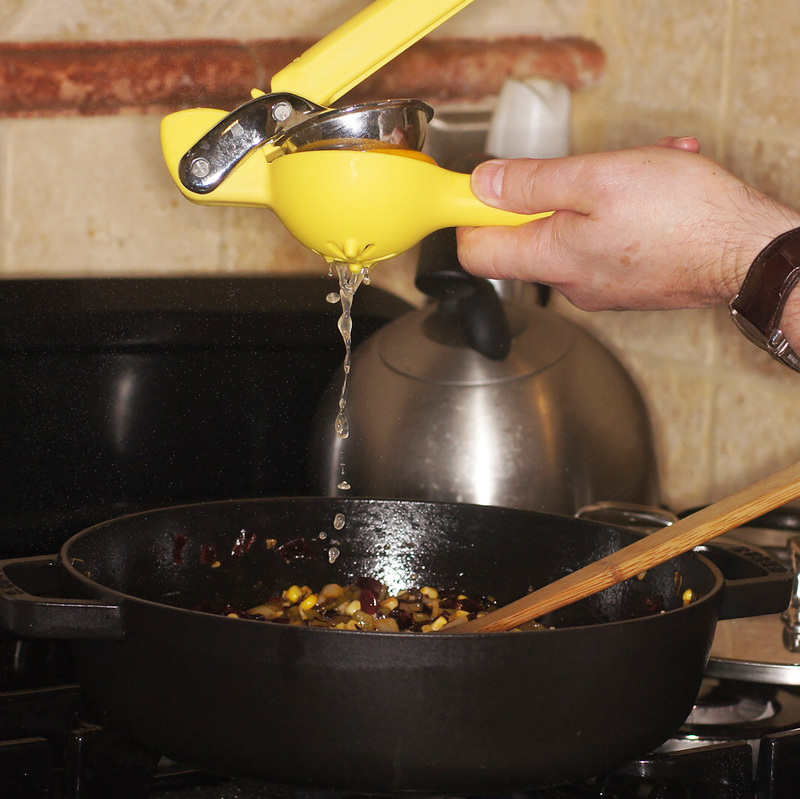 This post is for my blogging buddy Conor who was curious if you really could eat the paddles. Well, Conor (and the rest of you) you absolutely can. Not surprisingly, it has chiles 😉 and this is what we did. First thing first, clean the cactus paddles of their spines. © 2015 REMCooks.com – Notice how i let Baby Lady do this particularly dangerous task??? Once the paddles are cleaned, cut them into squares. 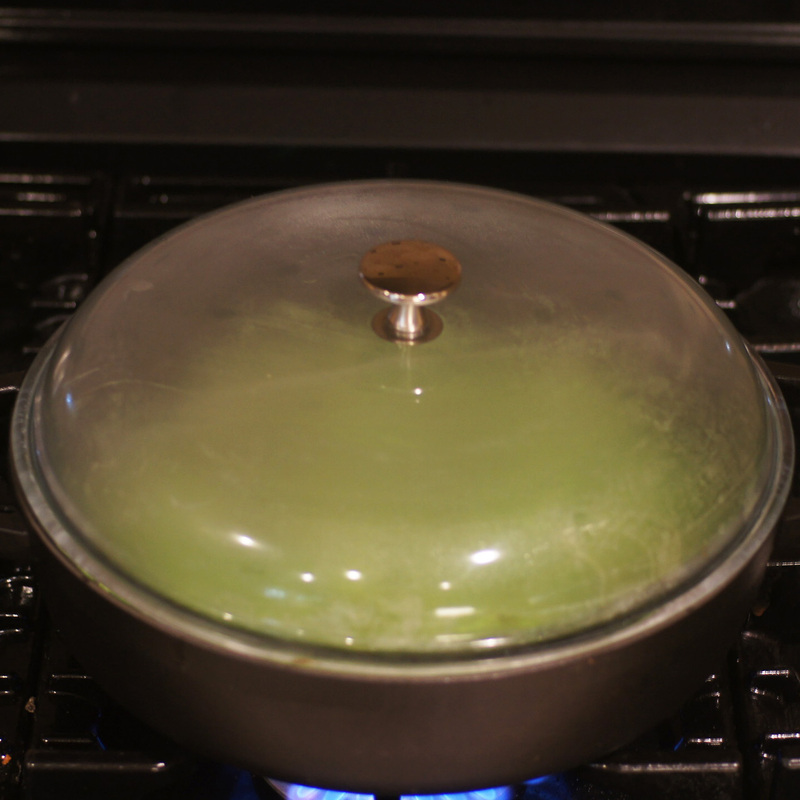 Add 2 tablespoons of oil in a heavy skillet over medium-high heat. Notice the nopales are slimy kinda like okra? 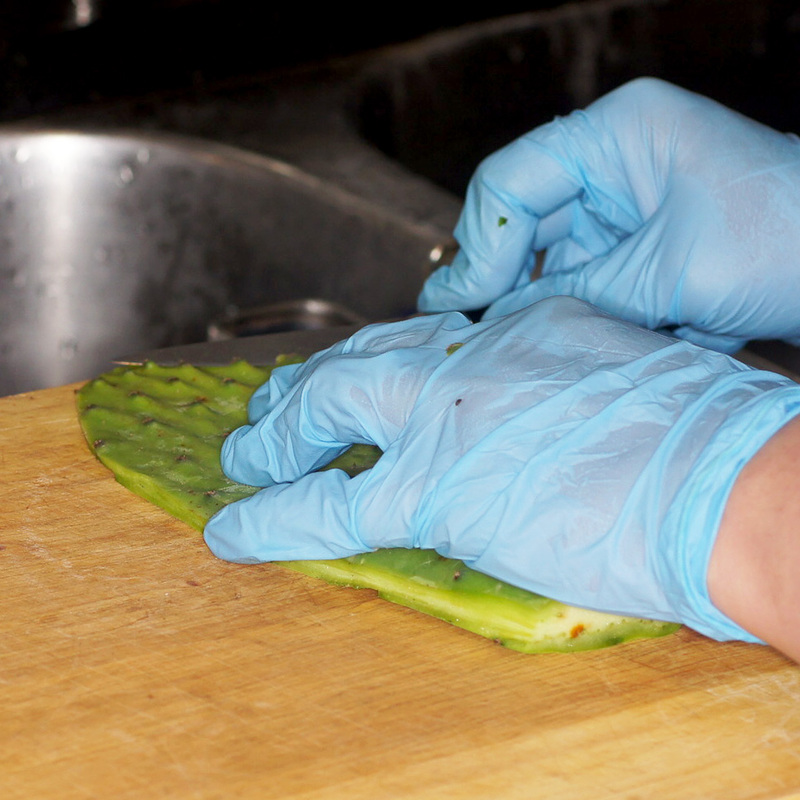 The trick to nopales is to cook them long enough to get rid of the slime. This is done one of a couple of ways. 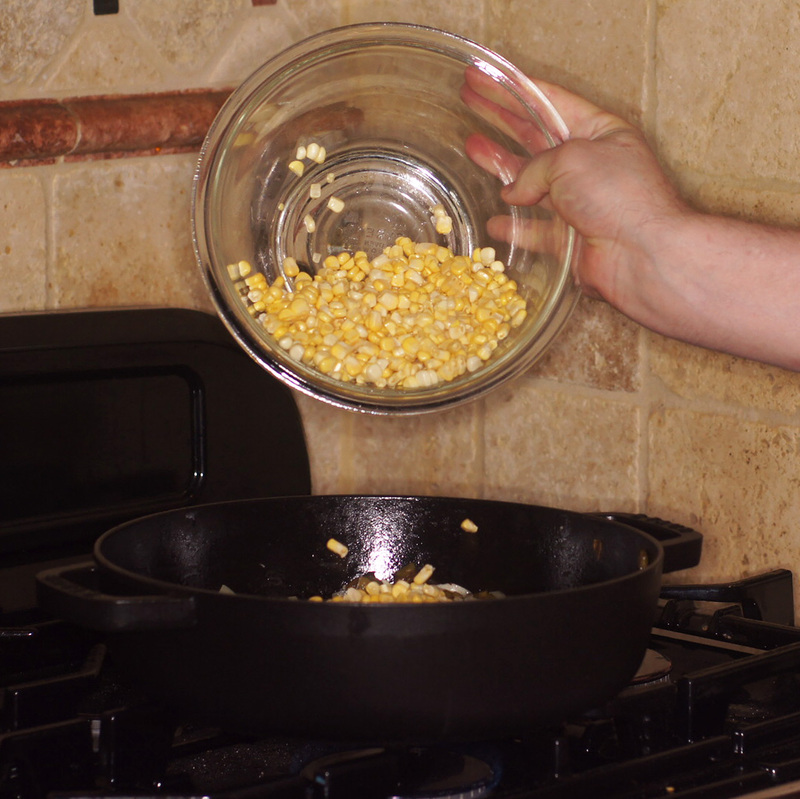 You can boil them or you can sauté them like in this recipe. 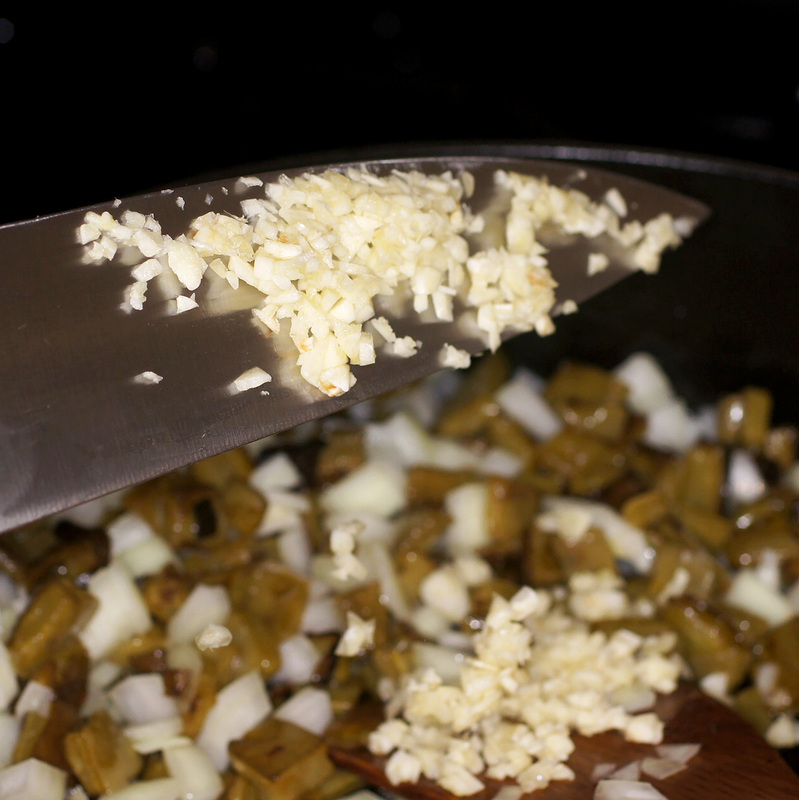 Stir the nopales for a couple of minutes and let them sauté. 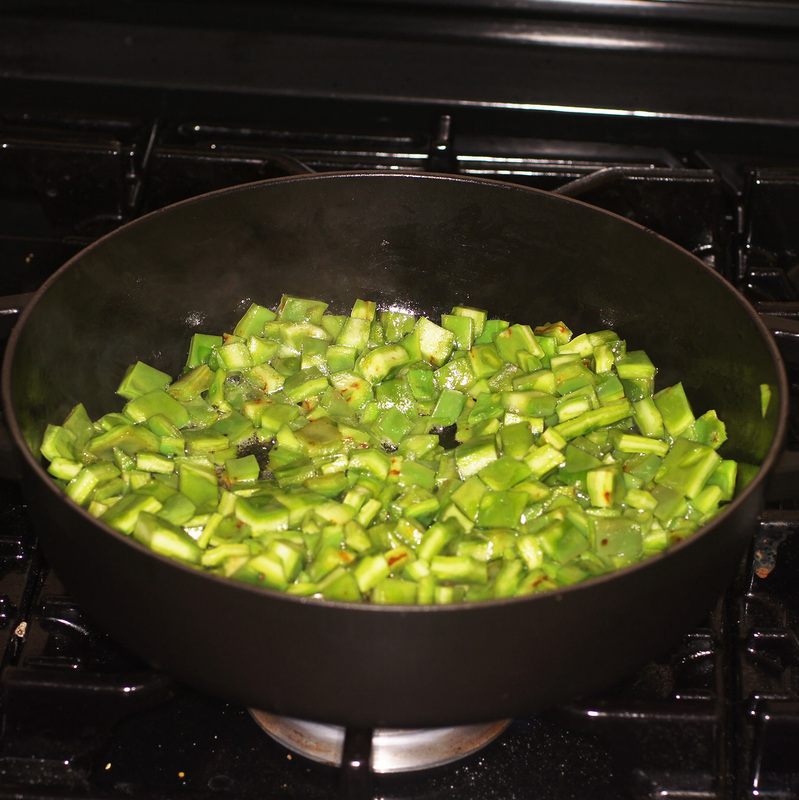 reduce the heat to medium and let the nopales cook and sweat for about 20 minutes, stirring once or twice. 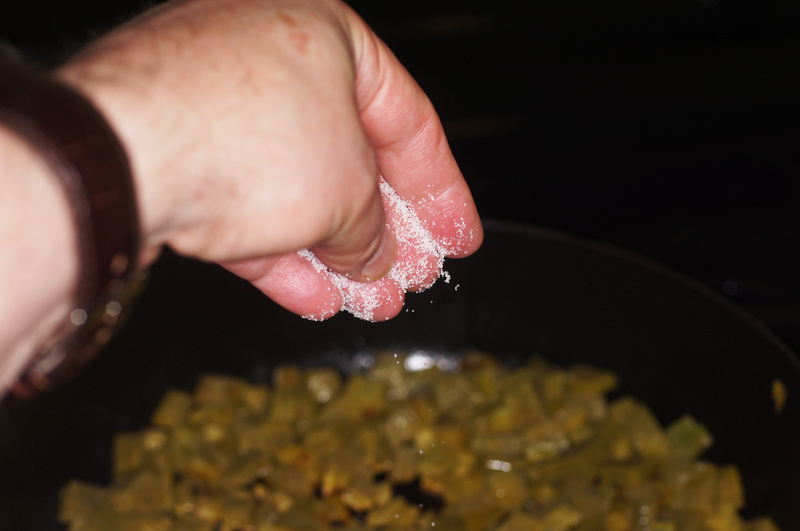 You will notice the nopales’ slimy liquid will have begun to dry out. 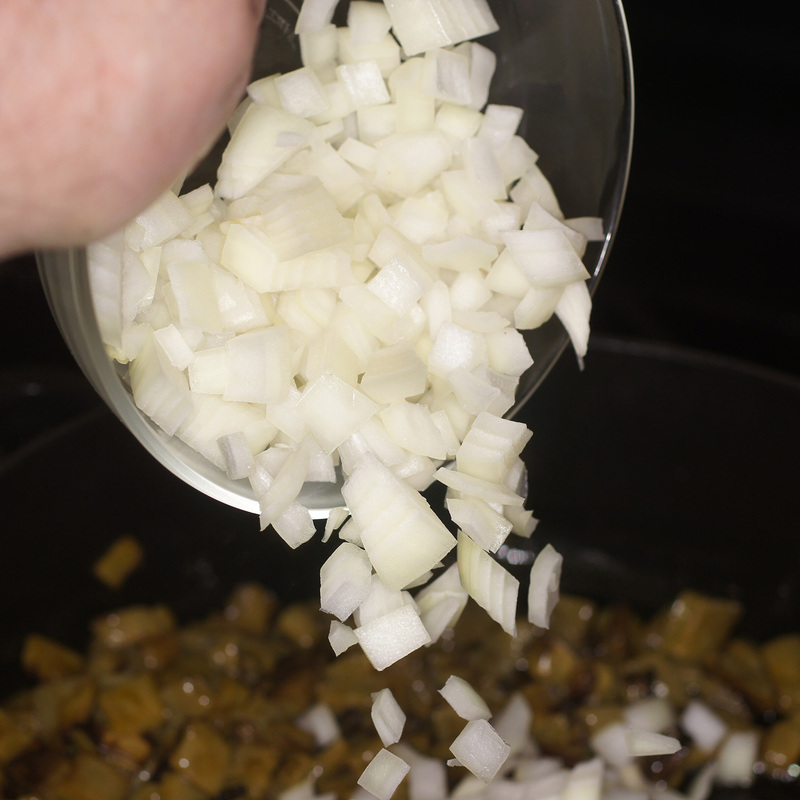 stir and make sure most of the liquid has dried up; if it hasn’t, let them cook for a couple more minutes until it does. 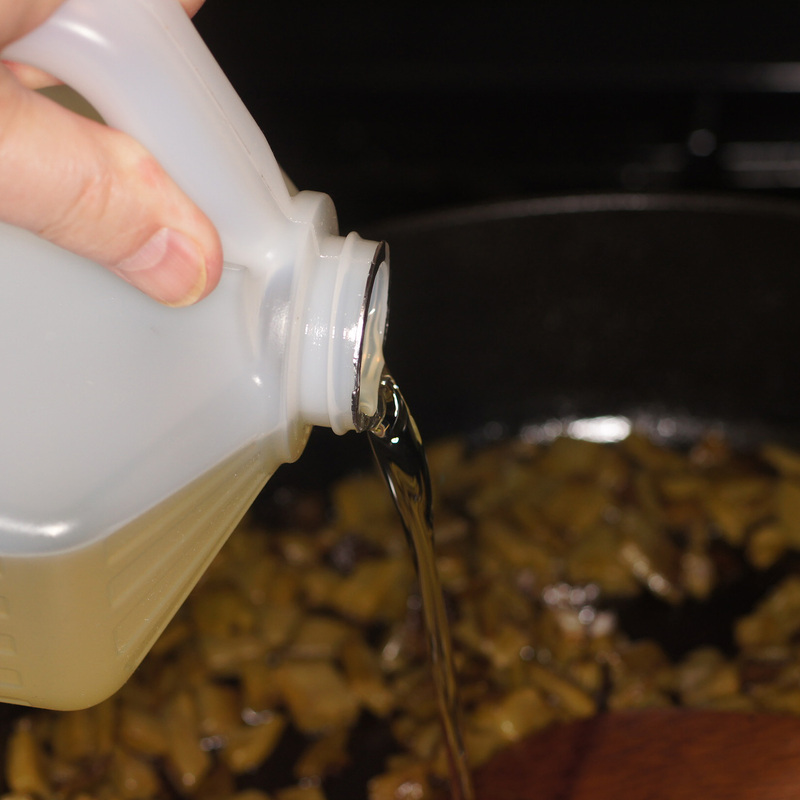 When the slimy liquid has dried, pour in the rest of the oil. 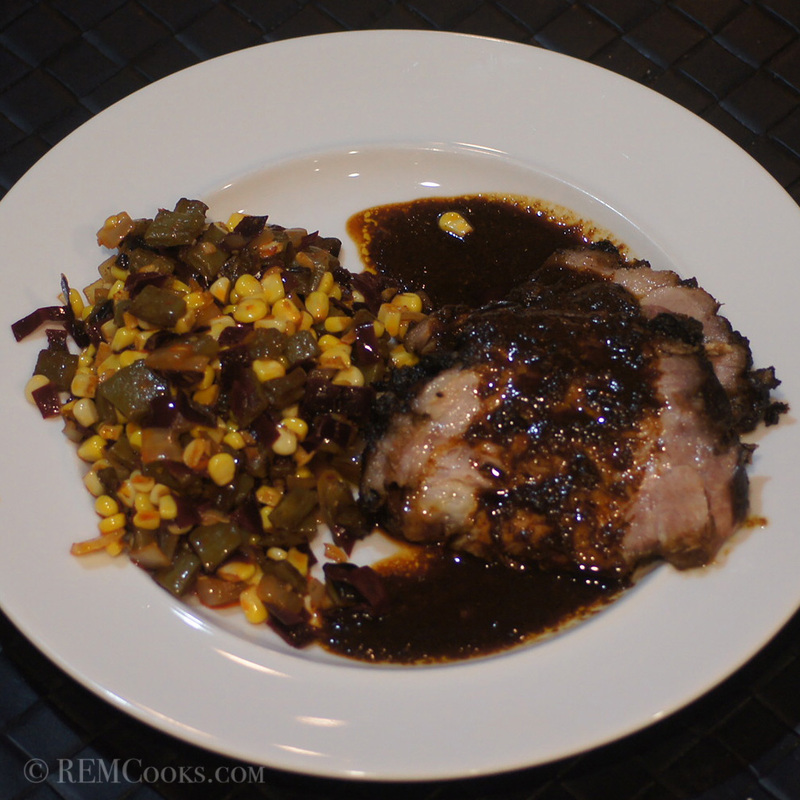 © 2015 REMCooks.com – I’m eyeballing it. © 2015 REMCooks.com – Baby Lady came back to help with the photos. Mix well and let it cook for about 3 to 4 minutes. Stir and cook covered for another 3 to 4 minutes. 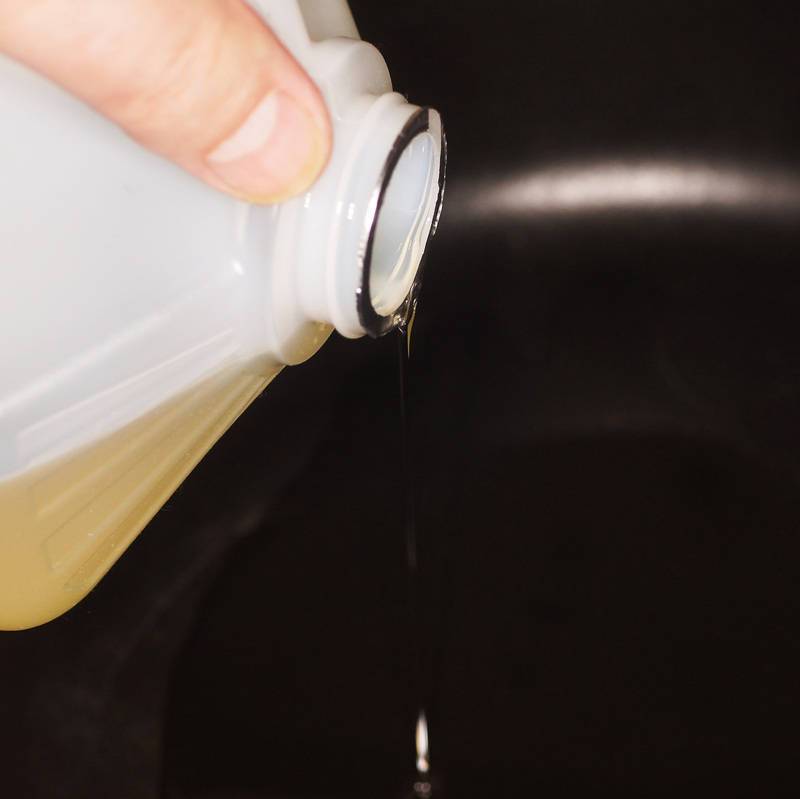 Remove from the heat and adjust for salt, if needed. Put in a nice serving bowl. A REM Cooks classic. I have a picture in my mind of a besuited Legal Eagle negotiating with a groundsman for the fruit of the cactus. You didn’t reveal if you also got a bonus of the paddles, while negotiating. The dish looks intriguing as I can guess the flavours from all the other ingredients except the paddles. Great post Richard. You are back in the game! Interesting post Richard though I won’t promise to make it! 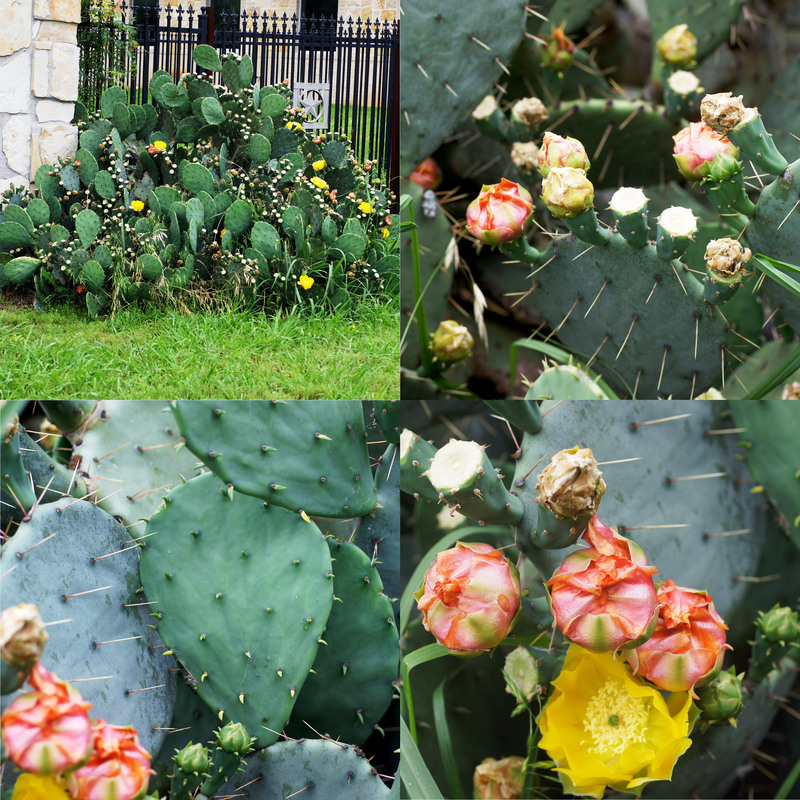 Prickly pear runs amok in Australia too, introduced by Sicilian immigrants in the 1950s. I’m pretty sure that they only eat the fruit. I’ve always wondered what prickly pear would taste like…? 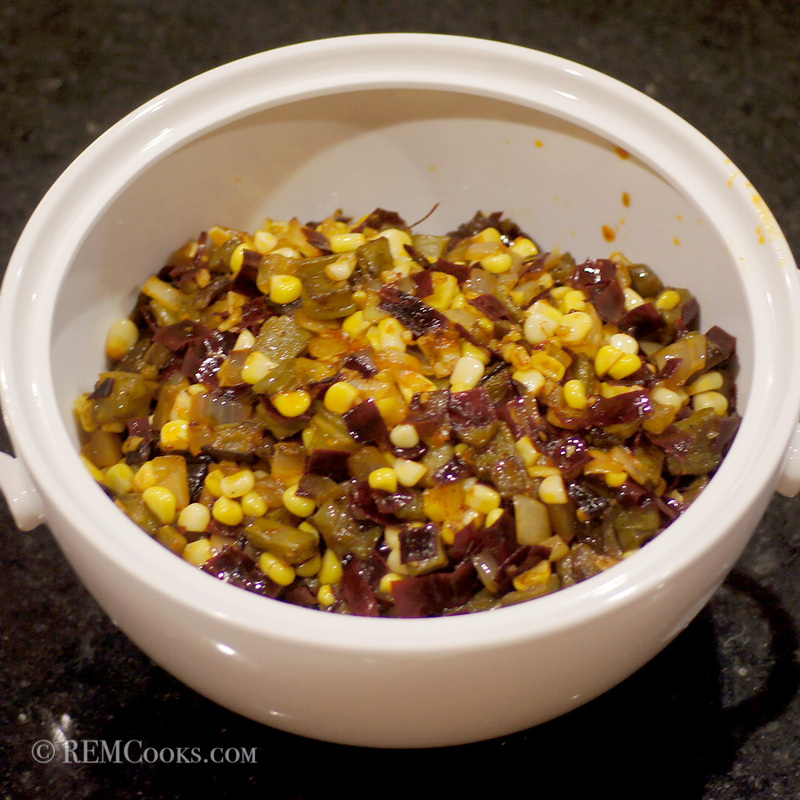 Using it as a savory side dish with chiles sounds really good, though! Hi Kathryn. Nopales (or nopalitos) taste similar to a green bean crossed with asparagus but with more acidity. They are a wonderful side. Baby Lady makes a warm salad with them that we will post one day. Thanks Richard, I’ve always wondered. It sounds delicious! Our local market that has a large stock of Mexican produce always has nopales in stock. Will have to try it some day just to freak out my family. I think with your recipe though with chiles and corn they would at least try it. Very nice, Richard, and just like Conor said: a REMCooks classic! 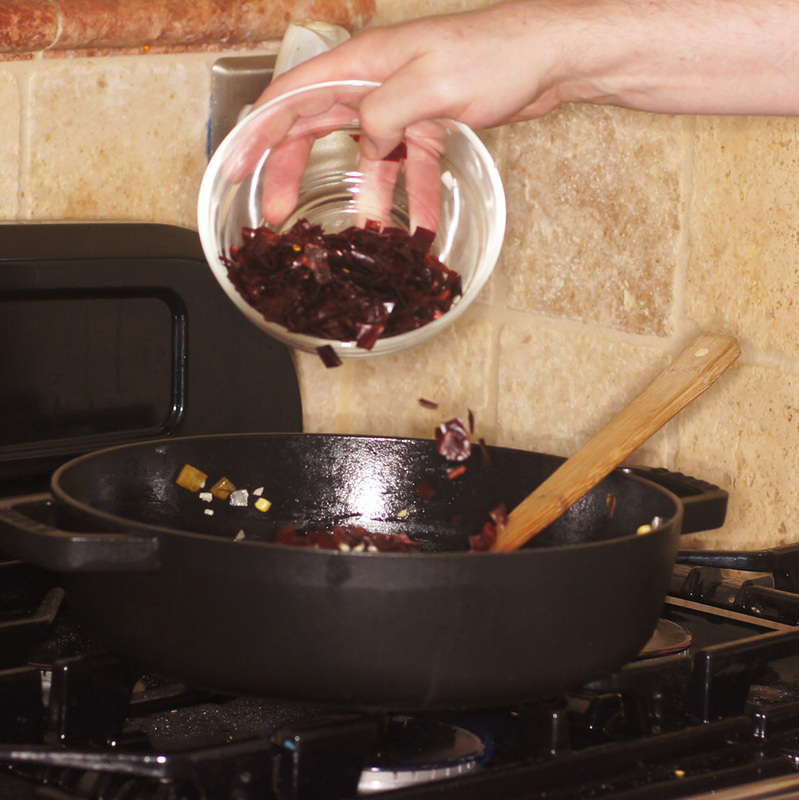 Did you soak the chiles at all before adding them? I did see the paddles a few times in the produce department in the US, but never knew what to do with them. Especially with the spines and without Baby Lady around to do the dangerous work. I am curious what they taste like, so I will watch out for them. Sometimes the market I go to that caters to restaurants has exotic stuff. Wouldn’t think they were frost proof, but then again neither is Houston. I think the humidity might be more of a problem, they’ll simply rot away I imagine. Hmmm, it could be interesting to prepare green beans with similar flavors.